With hundreds of facilitators around the world, we can deliver informative, inspiring, and engaging face-to-face training programs that will address your leadership and talent development challenges—and drive results for your organization. Delivered through award-winning technology, Blanchard Online Learning delivers instructor-led debriefs with self-paced learning modules that allow participants to learn and practice new skills in an engaging, time-saving format. Blanchard’s certified coaches work one-on-one with your executives, managers, or team members to reinforce training programs or to provide additional support in the areas of leadership development, relationship-building, problem-solving, and management skills. Our public workshops provide a great opportunity for individuals, leaders or geographically dispersed teams to participate in Blanchard’s leadership development training programs. They’re also a great way to preview a program before launching a larger training initiative within your organization. We can customize our learning solutions to tailor it specifically to your business or industry, including adjusting the program design, customizing training materials, and modifying the delivery method to ensure it’s as relevant and impactful as possible. 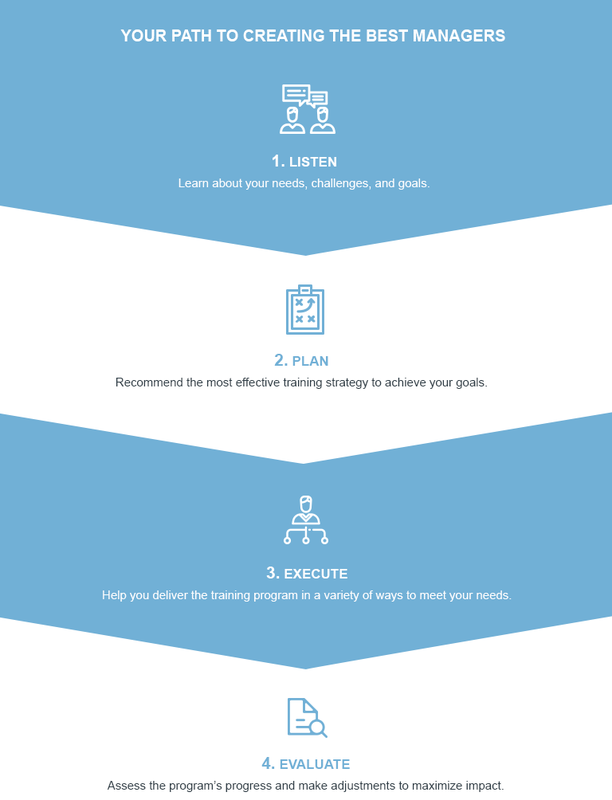 Our Training for Trainers sessions allow you to learn and practice Blanchard’s training programs so you can deliver them within your organization. We offer both on-site training, when you want to train a significant number of trainers within your organization, and we also have public T4T workshops for The SLII Experience that you can register for, at any time. Inspiring. Enlightening. Energizing. Informative. Our exclusive group of thought leaders deliver keynote presentations regularly at corporate and industry events and would welcome the opportunity to discuss your challenges and how to move your organization forward. Fill out this form and find out how we can help your organization train the best managers in the world.